When I first started this blog I posted about places in Ohio I would like to visit. I have visited some of them since then, but there are still many places on my list. Now as my time here is dwindling, there are sights and sounds around the state I want to spotlight here. Some are old-time favorites, others I have been introduced to only recently and the rest are places on my to-do list. These places include restaurants, museums, gardens and other institutions, all reasons why I truly do love this state. 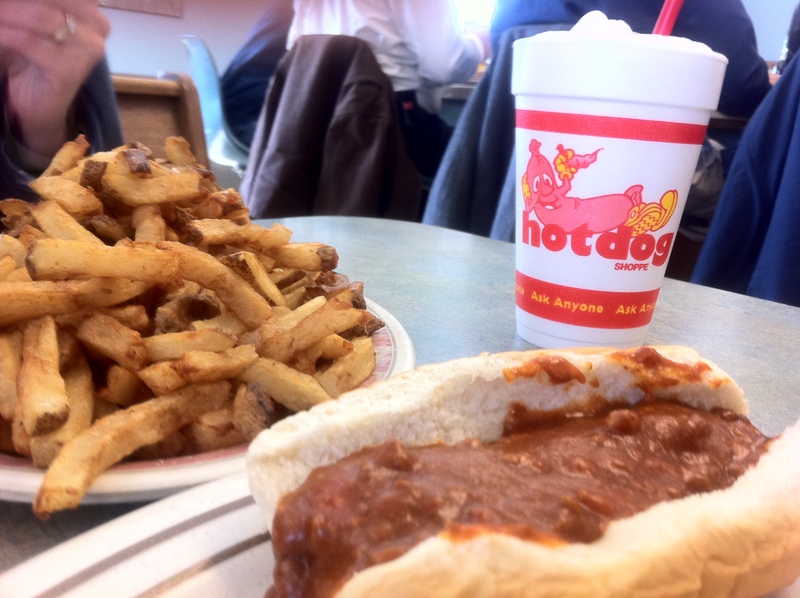 My plan for this is to publish a weekly “Saturday Spotlight in Ohio.” First up is the Hot Dog Shoppe in Warren. Any time I head home, I want to eat a meal here. Often it doesn’t work out, of which I am sure my body is thankful. When the chance does arise, like it did this past March, I was delighted. Hot dogs, hamburgers and soup, along with French fries are on the menu. I only ever order a chili dog, which costs 95 cents, a vanilla milkshake that always needs a spoon, and an abundance of fries. If you order a burger, I will look at you strangely, because well, if you are going to eat at a place called the Hot Dog Shoppe, you should eat a hot dog. There are booths and counter seats, along with a booming take-out line. Waitresses wear t-shirts with the phrase, “Seven days without a hot dog makes one weak.” There is a rotating hot dog on the roof of the building, along with a sign out front that displays sayings and wishes. 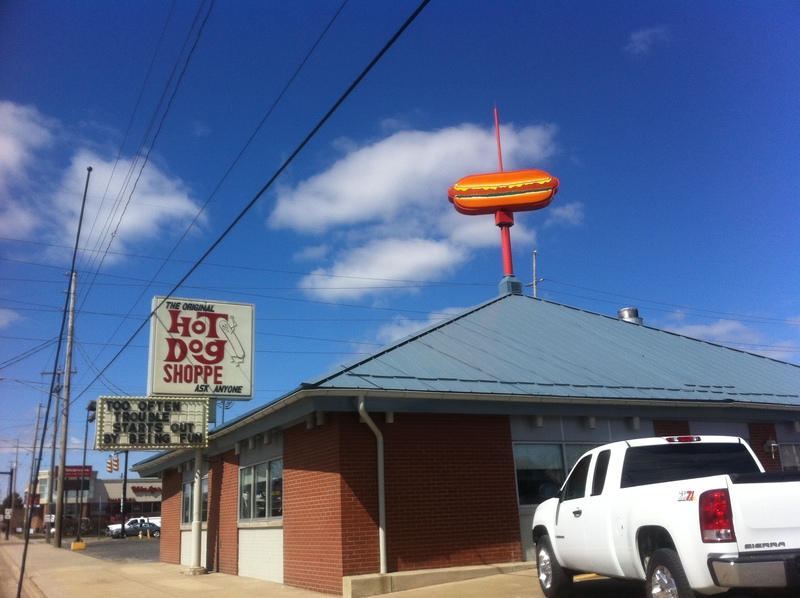 The Hot Dog Shoppe is located at 740 W. Market St. in Warren. It’s phone number is 330-395-7057. This entry was posted in North America, Saturday Spotlight, U.S. and tagged Food, Ohio, Photos, Travel. Bookmark the permalink. I grew up in Warren and every time I return home from California one of my first stops in town is here. They have been in business over 50 years, and the food is still as good as I remember growing up.